camera (VCG via Getty Images, FILE) U.S. Navy guided-missile destroyer USS Benfold (DDG 65) arrives at a port, Aug. 8, 2016, in Qingdao, China. USS Benfold is on a 5-day visit to Qingdao. Two U.S. Navy ships sailed through the Taiwan Strait this weekend, the body of water separating China and Taiwan. The transit of American warships through the Strait are always sensitive because of China's claims over Taiwan, which it regards as a breakaway province. "Two U.S. Navy ships conducted a routine transit through the international waters of the Taiwan Strait on July 7-8 (local time)," said Capt. Charlie Brown, a spokesperson for the U.S. Pacific Fleet. "U.S. Navy ships transit between the South China Sea and East China Sea via the Taiwan Strait and have done so for many years," said Brown. Word of the transit was first made public by a statement from Taiwan's Defense Ministry that said the identified the two ships by their hull numbers. (David Flewellyn/U.S. Navy, FILE) The guided-missile destroyer USS Mustin is pictured near Guam on July 26, 2015. 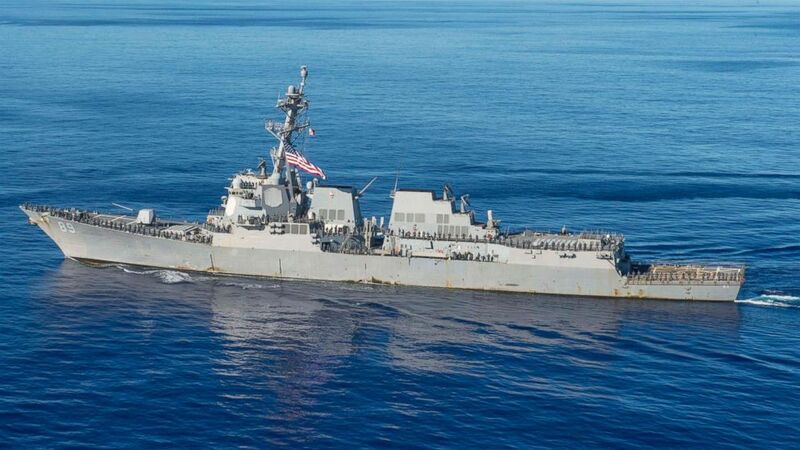 A U.S. official confirmed that the destroyers USS Mustin and USS Benfold were the two ships that transited through the waterway. The statement said the Taiwanese military had monitored the transit of the the two warships that had entered the southern part of the Strait and sailed in a northeasterly direction. 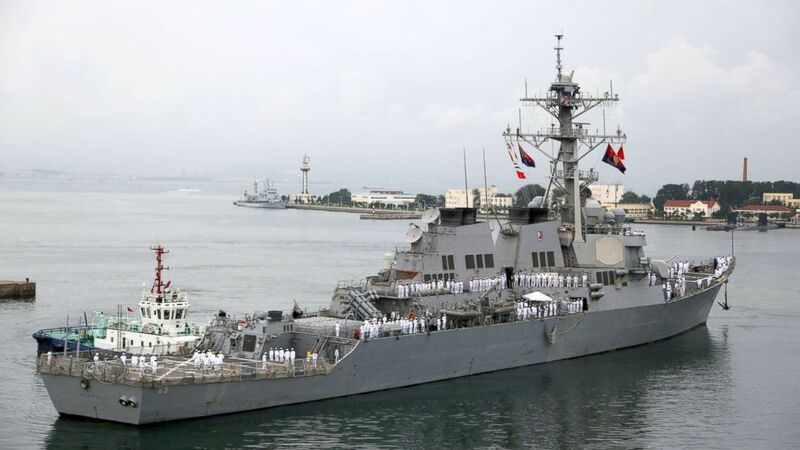 The last time an American warship transited through the Strait was in July, 2017 when the destroyer USS John S. McCain sailed in the waterway. An American aircraft carrier has not sailed through the Strait since 2007. While the U.S. and China cooperate in denculearizing North Korea, there are tensions between the two countries over China's growing military presence on man-made islands in the South China Sea. The U.S. Navy has continued to carry out freedom of navigation passages in international waters close to those islands that have the effect of countering China's territorial claims.